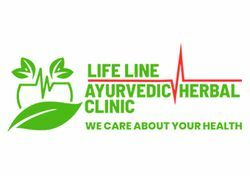 Welcome to Life Line Ayurvedic Herbal Clinic, a leading Ayurvedic Clinic based in Adelaide, Australia. This clinic is established to promote health naturally through Ayurvedic Medicine and Yoga in Australia. The main aim is to strictly follow the principles of Ayurvedic philosophy; which is to promote longitivity and prevent disease. Major emphasis is placed on health promotion, chronic disease prevention and in the treatment of diseases to which the conventional medical system has been of limited or no assistance. Dr. Sandeep Kumar and Dr. Anupam Vasudeva are fully qualified Ayurvedic consultants holding Bachelor of Ayurvedic Medicine And Surgery – a 5 1⁄2 degree from India. 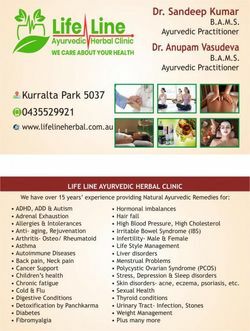 They are the prominent members of Australasian Association of Ayurveda; with over 15 years of clinical practice they are among the best Ayurvedic doctors in Australia. They asses individuals on the basis of their Body Constitution analysis and pulse diagnosis and give the best possible treatment by herbs, diet plan, life style modification, yoga, meditation and Ayurvedic detoxication using traditional Ayurvedic therapies. Skin disorders- Acne, Eczema, Psoriasis, etc. Call +61435529921 to book an appointment or contact us for more information.